We are one of the provider of Shink Shank Frozen Meats. Types: 93 V.L., 95 V.L. and 98 V.L. Backed by rich experience, we have developed as a chosen name in the sphere of supplying and exporting an extensive assortment of Indian Halal Frozen Boneless Meat & Salted Sheep Casing. 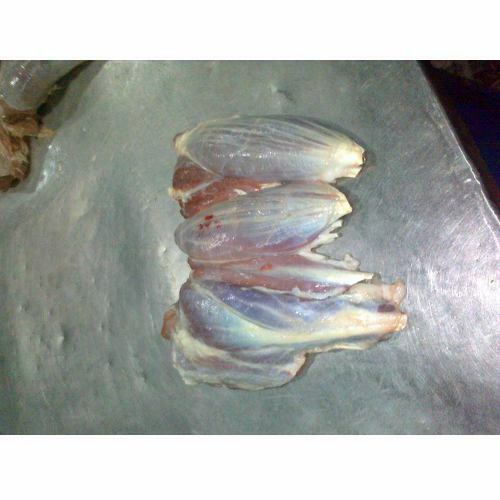 Our complete gamut encompasses Fore Quarter Cuts Frozen Meats, Chuk Tender Frozen Meats, Blade Blade Frozen Meats etc. Procured from genuine market vendors and reliable sources, our products are processed in extreme care in hygienic conditions. Owing to the quality of products delivered, we have been recognized as one of the leading suppliers of healthy Meat / Casting Products. We make sure quality of products is not compromised, and each activity starting from the procurement, storage and packaging until the final transmit is accurately inspected. We have chosen skilled quality associates, who make sure assortment is in line with cleanliness standards. Furthermore, our extensive distribution network ensures that the consignments are delivered well on time. Owing to our principled business policies, easy payment terms & modes only Bank Transaction and high responsiveness, we have attained complete satisfaction of our respected clients.